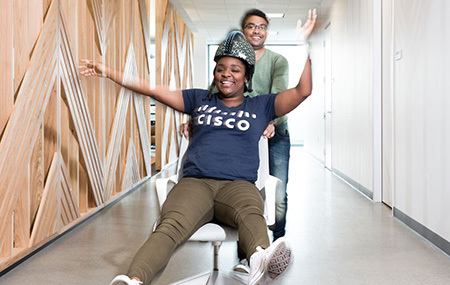 It's an exciting time to work at Cisco! Every day we connect people to the network and make it come to life. Join one of the top supply chains in the market a catalyst for change in driving the organization to our Manufacturing Excellence goals. Your role would be to help the Cisco Supply Chain to unleash the full power of the digitization. As we are subject to a constant change we are deploying processes, policies and technologies to help us to be successful and we need talented individuals to contribute to our journey. Your role would lie within a realm of regional Technical Operations team responsible for providing daily technical support to our manufacturing partners as well as helping Cisco to implement and adopt new platforms and technologies within manufacturing. We are looking for a self-motivated candidate who is an engineer by heart. Analytical in thinking and curios about how things are working. A candidate that actively seeks opportunities for gaining more insights, simplifying and automating our processes through use of the modern technologies. Manage daily support of our products, systems and tools in manufacturing. Support New Product Introductions and product transfers in manufacturing. Develop test automation code for both SW & HW products. Develop automation of job related tasks. Analyze various sets of data for quality & process control. Solve automation and product related testing issues. Drive test optimization, test yield improvements and test process consistency within manufacturing sites. Initiate and/or execute the test excellence and transformational projects. Support product transfers between manufacturing sites. Typically requires a BSc or MSc engineering degree within electronics or computing/ science or equivalent experience in working in the automated manufacturing industry or any other automated testing of HW or SW. Recently graduated, or graduating by the start of the program.